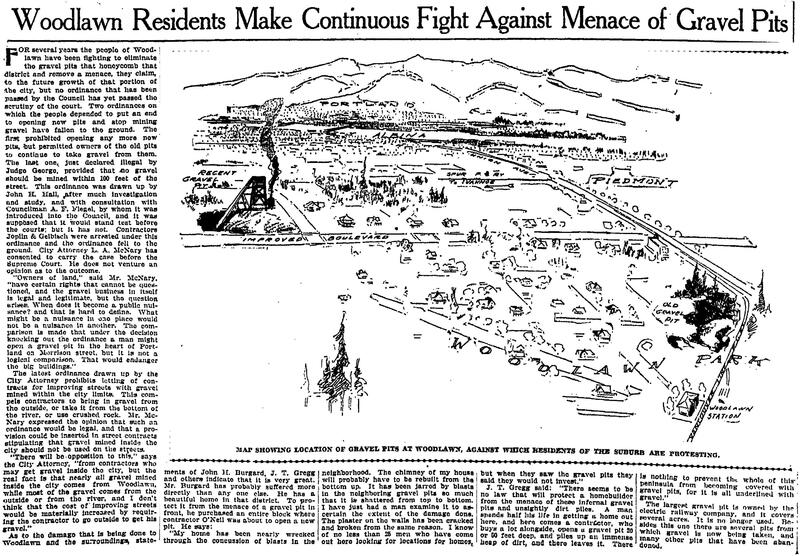 Since we seem to be on the subject of gravel pits and how neighbors feel about them, we thought this article from April 9, 1905 would be topical, and might even make some readers want to go for a walk with this 114-year-old sketch in hand to look for clues. 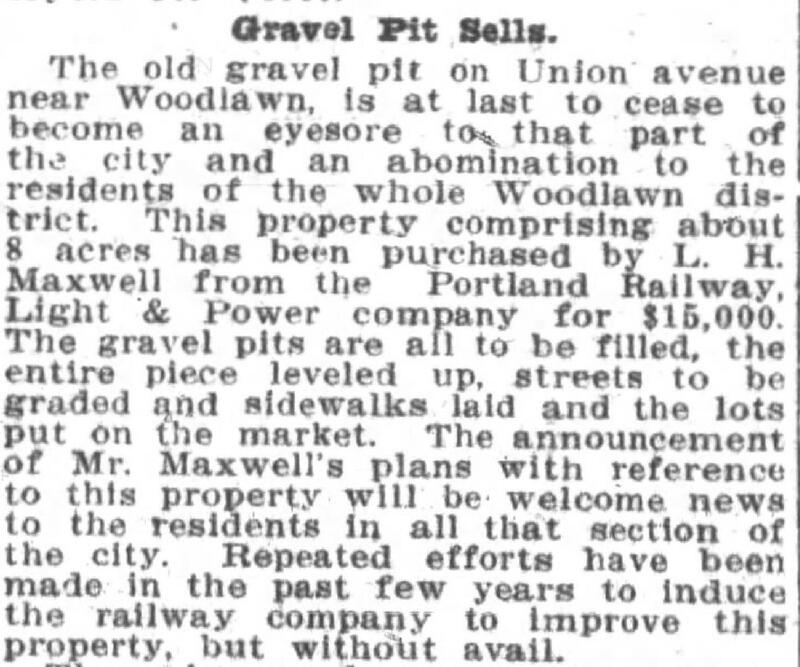 Click into the story and you’ll find an interesting review of the city’s ordinances related to gravel; insight that most gravel mined from within the city limits came from Woodlawn; and what it felt like to live near a pit. From The Oregonian, April 9, 1905. Click to enlarge. Because the two primary sources quoted in the article describe impacts to their homes, it’s helpful to know that John H. Burgard lived at 833 NE Ainsworth (he went on to become the influential chair of the Commission on Public Docks); and J.T. Gregg lived a few blocks north at 6547 NE 8th Avenue. Subsequent news stories reported the big pit—the one labeled “recent gravel pit” in the 1905 sketch and shown next to a conveyor belt and smoke plume (issuing from what looks to us like a steam donkey) on the left side of the sketch—was located between NE Martin Luther King Jr. Boulevard and NE 8th Avenue, south of Dekum and north of Ainsworth. 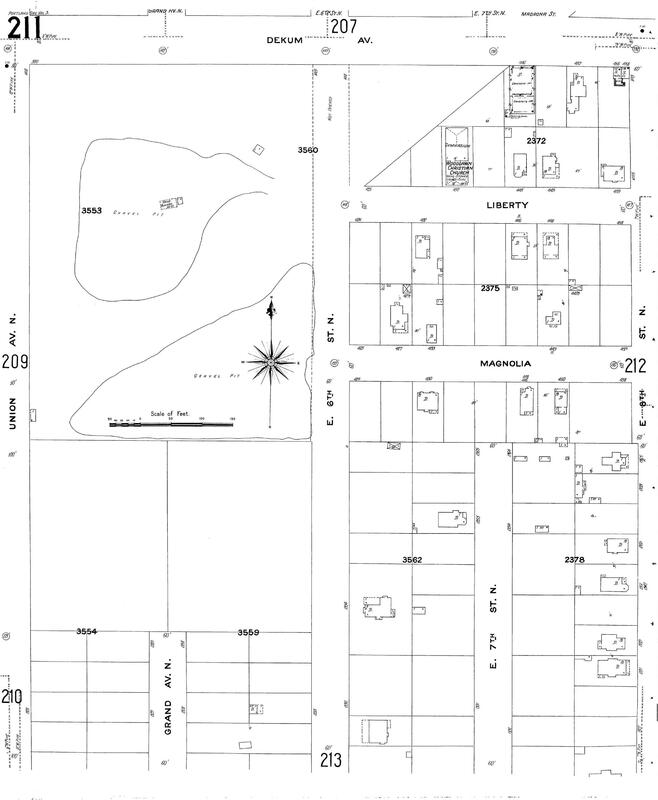 Here’s a look at the Sanborn Fire Insurance map of the area from 1908-1909. Magnolia on that map is today’s Rosa Parks Way. Another deep gravel pit existed about two blocks south of the big pit, just off this plate. Fortunately for Woodlawn residents, the heated-up real estate market meant the property would be more valuable as a neighborhood than a gravel pit. In 1908, the pit area was sold to real estate developers W.C. North and L.H. Maxwell who proceeded with fill operations. The land was level by 1912. 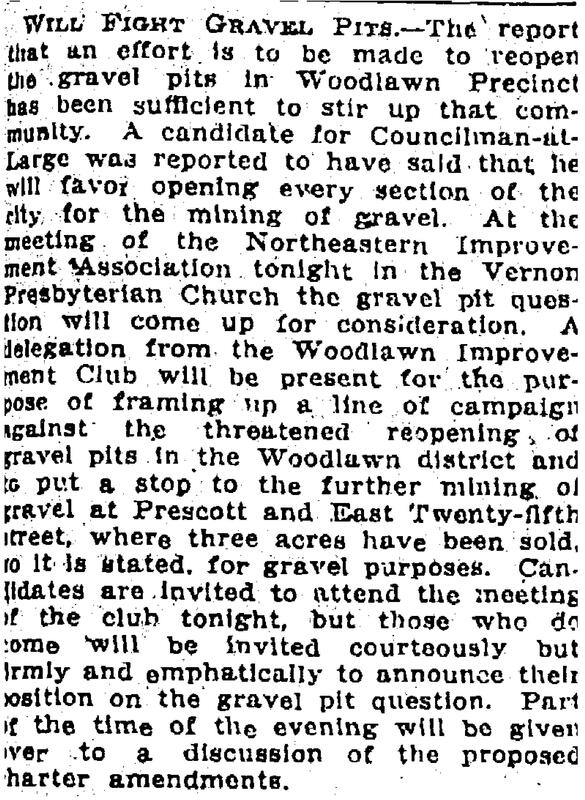 Like their Woodlawn neighbors, Vernon residents were also on the defense when it came to gravel pits. Two years later, they were pressing city council candidates for their views about the troublesome three-acre gravel pit that used to be near the corner of NE 25th and Prescott. One message from this new awareness about big holes in the relatively flat neighborhoods we know today is that there used to be a lot more topography out here. Check out the post we did a few years back about the big natural gulches that once marked the east side. Like Alameda’s own Fremont Sanitary Landfill, a lot of these gullies were filled with garbage, construction debris and worse. Makes you appreciate the lay of the land we know today, and wonder what’s below the surface.